World Veterinary Association and Ceva Santé Animale recognize veterinarians and veterinary students for their exemplary work in protecting and promoting Animal Welfare. Animal Health Matters is a new online resource aims to educate and build greater awareness of the most pressing issues in animal and human health. The WVA Council through its Working Groups continues to work and to develop further the WVA Strategic Plan that was adopted in March 2015. Click HERE for the Updated WVA Strategy 2015-2018. The World Veterinary Association (WVA) is the world’s largest family of veterinarians, as well as the common voice for them all. Representing more than 500,000 veterinarians through 95 veterinary member associations on six continents, the WVA unites the veterinary profession at a global level. The WVA supports the work of veterinarians in diverse areas of medicine, research, practice, and outreach and is guided by its belief in One Health, which recognizes that humans and animals share the natural environment and create harmony with and for each other. The WVA envisions that collaboration between the veterinary profession and other professions can ensure that humans, animals, and the environment prosper together. Thank you for visiting the website of the WVA! Second International Animal Diseases and Husbandry . . . Please click on the following link to watch the new update video on the forthcoming WVA 2019 Global Welfare Awards. Enjoy the video and see you soon in Costa Rica. The WVA Council adopted new position statements on Availability of Veterinary Pharmaceuticals and on Cysticercosis and Cystic Echinococcosis (Hydatidosis). World Veterinary Association Congress – the Costa Rican . . . Please click on the following link to watch the new WVAC2019 video; the WVAC Experience. WVA devises its policies as a projected program comprising desired objectives and the means to achieve them. Posición de la Asociación Mundial Veterinaria sobre la . . .
WVA Position Statement on Availability of Veterinary . . .
WVA Position Statement on Cysticercosis and Cystic . 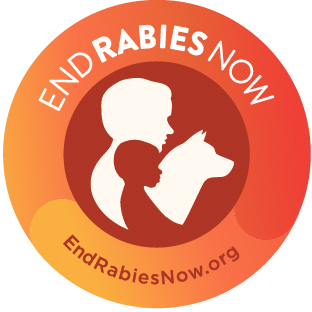 . .
Rabies is 100% preventable, but remains a daily threat to millions around the world.